Ships today if you order in the next 13 hours 13 minutes. 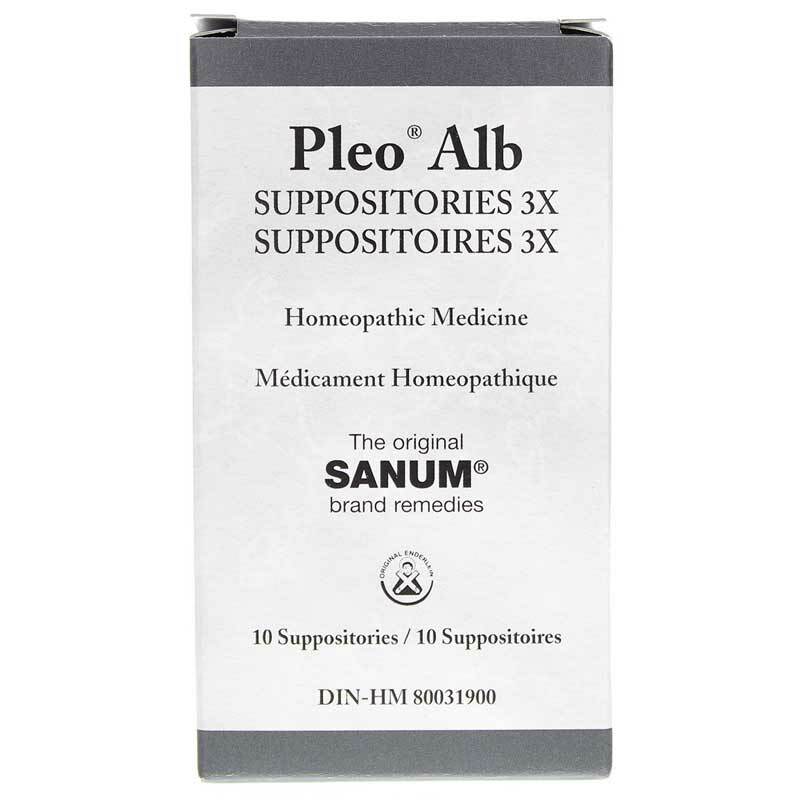 Pleo Alb Suppositories from Sanum are a homeopathic product formulated to potentially relieve the soreness, itching and minor irritations that often come with Candida albicans yeast infections. Using part of the system of homeopathy known as isopathy, this product actually introduces a very small amount of the problematic fungus into your body. The belief is that this will stimulate your natural immune defense. The isopathic effect is due to the combination of the saprophytic yeast phase with the parasitary fungal phase of Candida albicans. 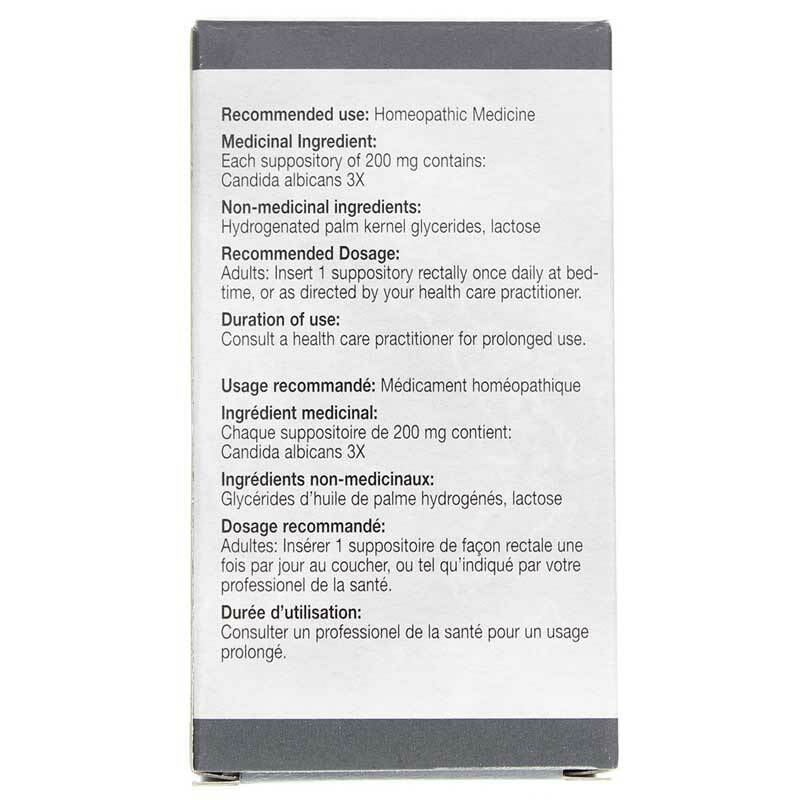 In addition to common sources of yeast infections - such as the urogenital tract - Pleo Alb Suppositories may be useful for infectious skin disorders as well as oral health issue and infections. Using a suppository certainly isn't the most comfortable thing you'll ever do. But neither is having a yeast infection. Ask your healthcare practitioner about trying Pleo Alb Suppositories from Sanum. Inactive Ingredients: hydrogenated palm kernel glycerides, lactose. Adults: Unless otherwise prescribed, once daily, insert one suppository rectally at bedtime. Duration of treatment: Dependent on the advice of the physician or health care professional. *These statements have not been evaluated by the Food and Drug Administration. These products are not intended to diagnose, treat, cure or prevent any diseases.